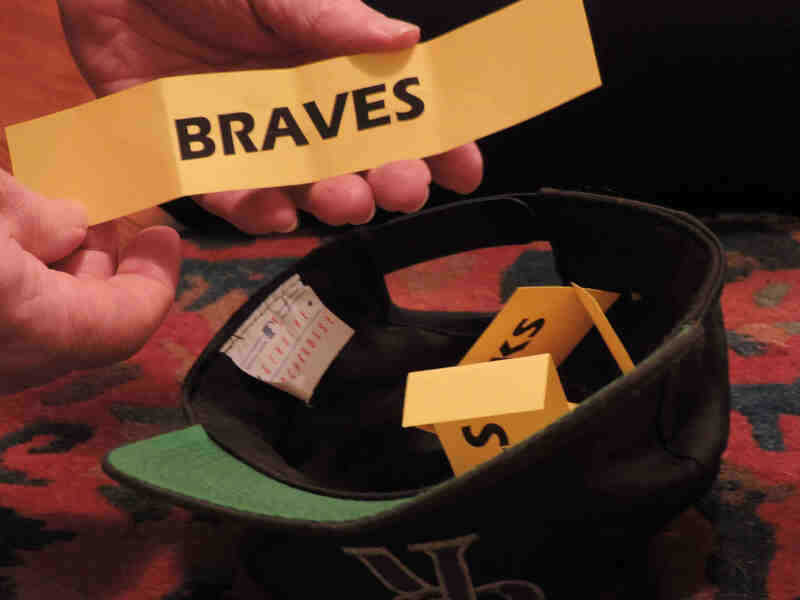 Before I unveil my fabulous 2019 panel of baseball experts and their equally fabulous post-season picks, I need to cover two important details. First, the season has already started. The Seattle Mariners and Oakland A’s kicked it off last week with games in Tokyo, which counted for baseball, but do not count with me. Last year, my experts outsmarted the dude-fellas at SI who were sure the Nationals would win the World Series. 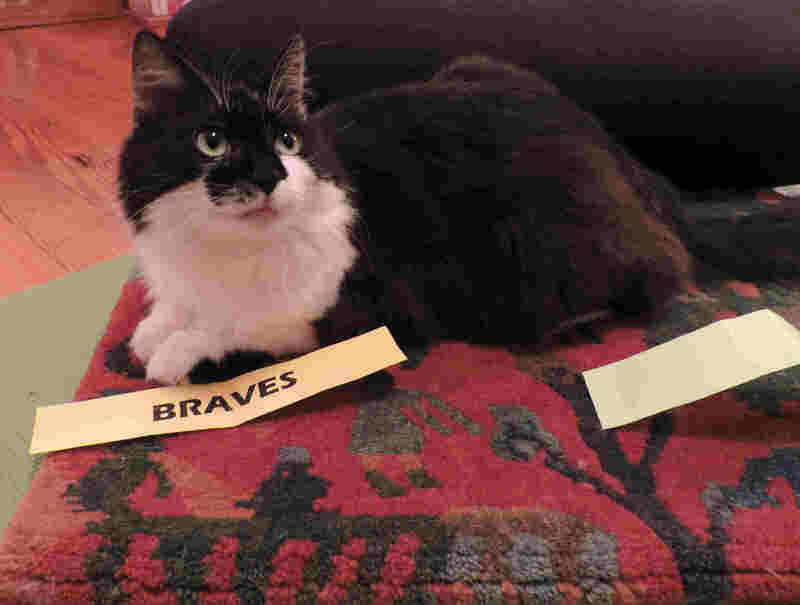 Neither did the Colorado Rockies, which was the team my cat chose. 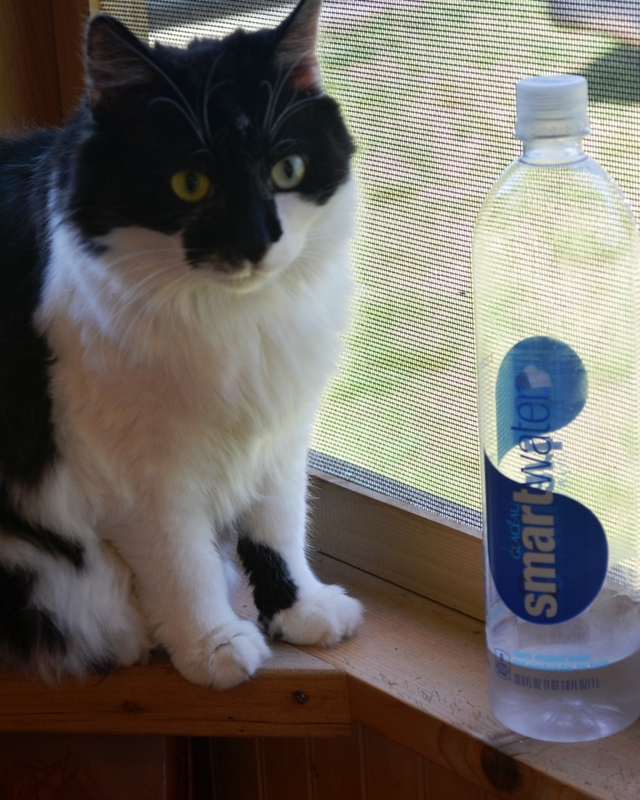 My cat. But, the Rockies did make the post-season. Do you know who didn’t make the post-season? The Nationals. So, Mookie the Cat – 1, Sports Illustrated – 0. 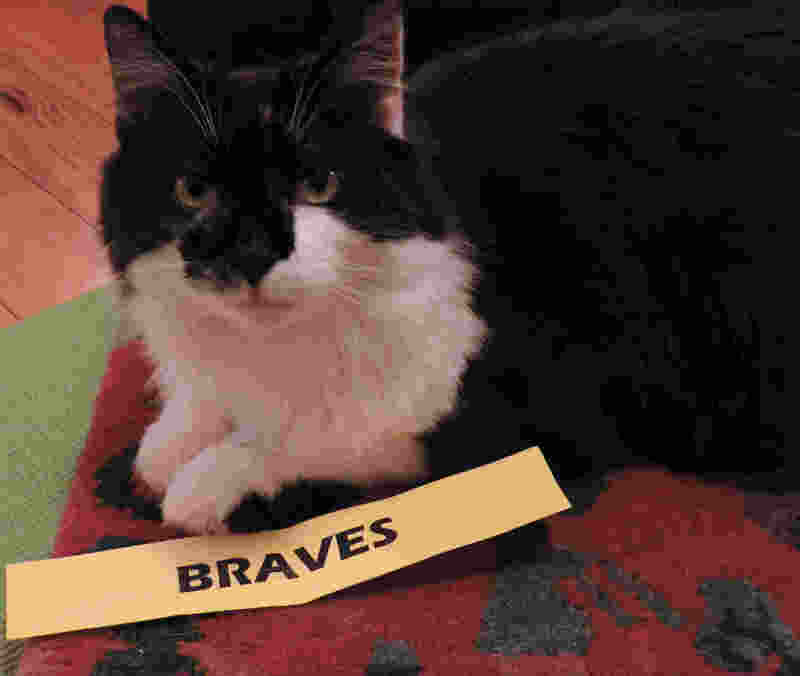 Being outsmarted by my cat apparently did in SI, because there are a lot of words in their latest MLB preview issue (including calling the Baltimore Orioles “ugly” … twice), but no official World Series pick. Best I can tell, they will commit only to predicting the Dodgers will be the strongest team in the NL and the Astros, the strongest in the AL. Where’s your Series pick, smart guys? Are you SI, or are you SI’m Afraid To Be Wrong Again? 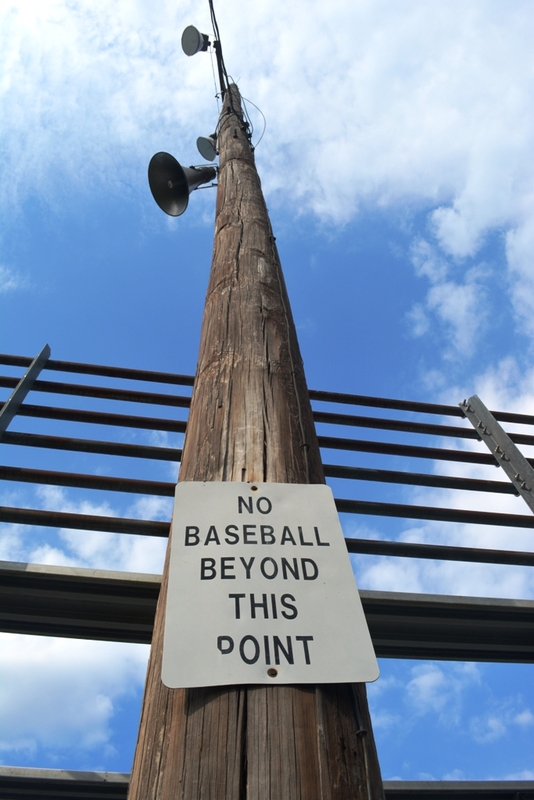 Baseball Is Shorter Than You Think. For those who believe that baseball games are too long, I have a gift for you … the postseason was shorter than it could have been. 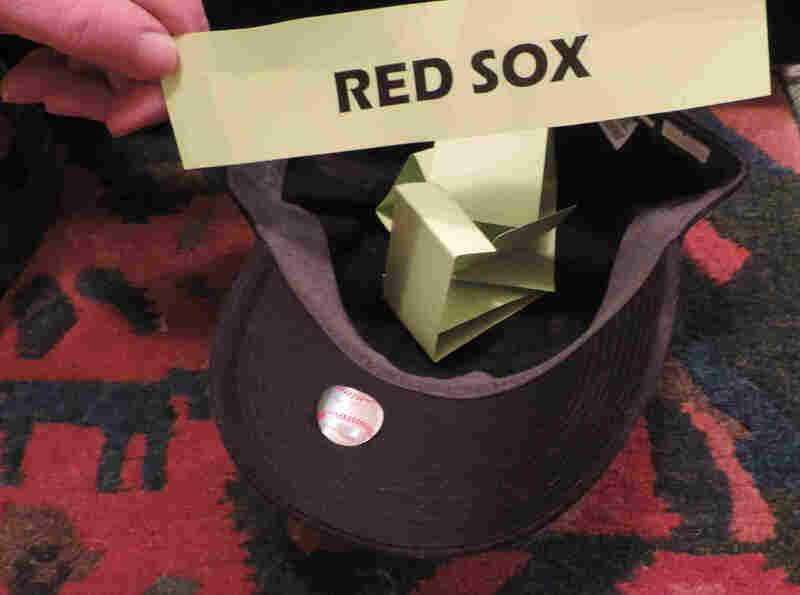 Each World Series team takes a percentage of the profits from the games they play, which means that following this five-but-coulda-been-seven game Series, the Red Sox and Dodgers are each a little poorer this morning than they could have been had only the Dodgers been a little better and the Red Sox a little weaker. 2017 – Dodgers (wrong). 2016 – Astros (wrong). 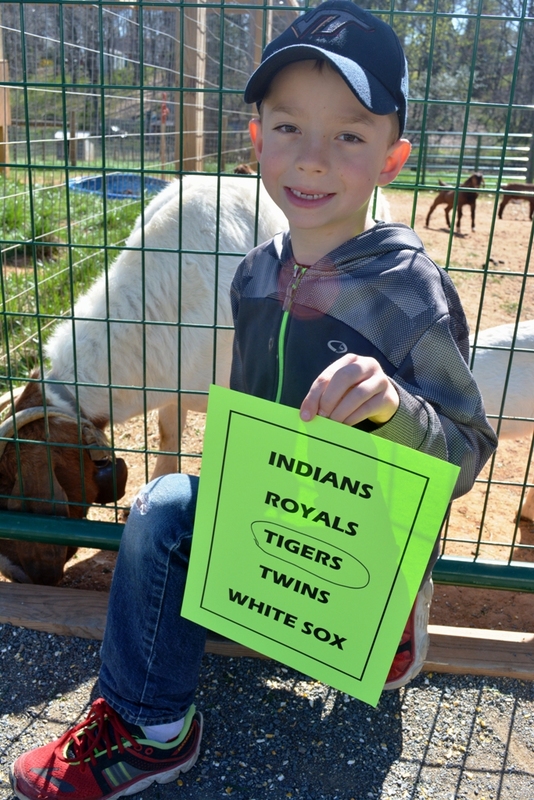 2015 – Indians (wrong). 2014 – Nationals (wrong). 2013 – Nationals (still wrong). 2012 – Angels (wrong). 2011 – Red Sox (wrong). 2010 – (I’ve lost interest). Sports Illustrated has never correctly predicted the World Series winner in its annual MLB Preview. Well, maybe they have. I don’t know. I got bored around 2010. All I DO know is that my team of experts – first gathered in 2015 – has never been right and during that same period neither has Sports Illustrated. To be fair, my panel has also included cats and, in 2016, a one-eyed possum and a crow. My experts can already tell you, SI will be wrong. My crackerjack panel of experts – which includes people who don’t even like baseball – will probably be wrong, too. 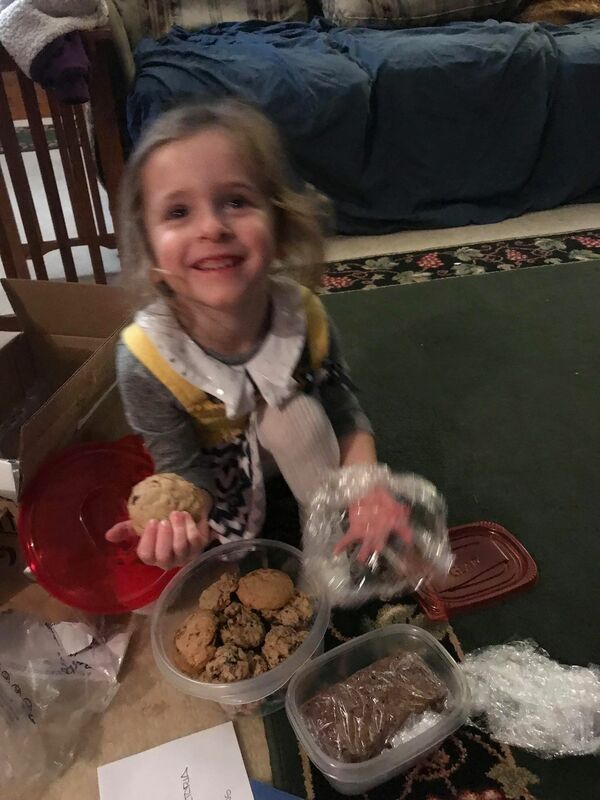 But, my panel has another incentive: If their team actually wins their division – just their division, that’s all I ask – I will bake cookies for them. Opening Day is Thursday. The earliest Opening Day ever. Because baseball is more fun when it’s 30 degrees and there’s snow on the ground. No time to waste. Let’s get this World Series over with. There may be eight-million stories in the Naked City, but that’s city’s not Chicago and Anthony Rizzo won’t be Lady Godiva’ing his way to another World Series. Not this year anyway. When a ballplayer’s career in the majors is brief – just a game or two – he is said to have had just “a cup of coffee” in the big leagues. So, if your time in the town where you were born was brief, does it become your “cup of coffee” hometown? Clay Bryant had more than a “cup of coffee” with the Chicago Cubs. 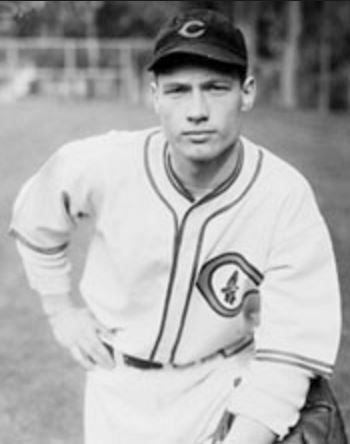 The right-handed fastball pitcher spent about six seasons with the Cubs – from 1935 through 1940 – including their pennant-winning and World Series-losing 1938 season. It’s his birthplace that’s the cup of coffee in this story. Bryant was born in 1911 in Madison Heights, Virginia. He wasn’t there long. Maybe a year – or a couple of years at most – before the family moved to Birmingham, Alabama, where his father found work as a pipe fitter. And, that’s where they stayed. Bryant dropped out of high school when he was 16, and left Birmingham to work his way through the minors. He was called up and played a few games for the Cubs in 1935, and settled there in 1936, where he played until his arm finally gave out in 1940. Cubs fans who know their history remember Bryant for just one season – 1938. The World Series went seven exciting games, which is as much baseball as one can have. A World Series only promises you four games, so to have the Series go the full seven – and an extra inning last night to boot! – is like taking two brownies from the buffet table. Sure, you know you were only supposed to take one, but the second one was so delicious. Congratulations to the Chicago Cubs who won their first World Series since 1908. It took a rain delay and an extra inning, but Cubs fans, no more sad-faces from you, you’re winners now. And, chin up, Cleveland. You gave it your best. So, now what? The brownies are gone and what are you going to do with yourself until baseball comes around again? It’s only been a few hours. I miss baseball already. Cubs vs Indians. 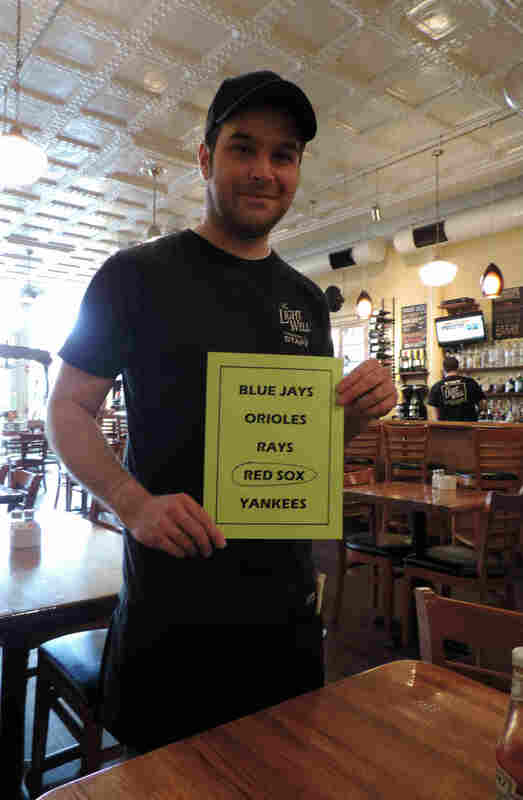 Choosing The Right World Series Team For You. I’m going to have to watch someone play baseball this week. And, so are you. 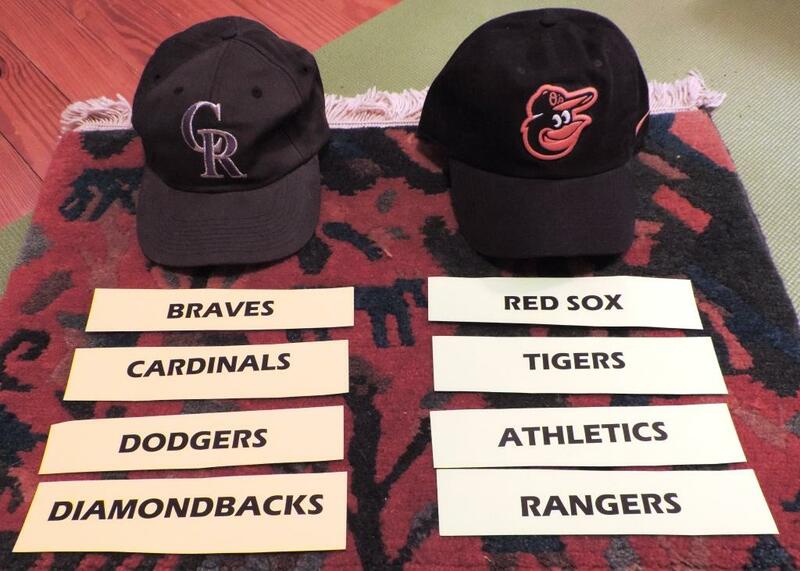 Let’s figure out which World Series team to root for. The Chicago Cubs last won a World Series in 1908. The Cleveland Indians last won a World Series in 1948. There’s a certain comfort in being able to shake your head at the end of a losing season and say, “Well, we always lose, that’s what we do.” Fans start to hang on to this excuse like a crutch. It becomes the excuse for every misplay, every error, every loss. Just to be clear, Cubs and Indians fans, that ends today. No more are you “long-suffering.” You’re now winners. Enjoy the pressure that goes along with that. 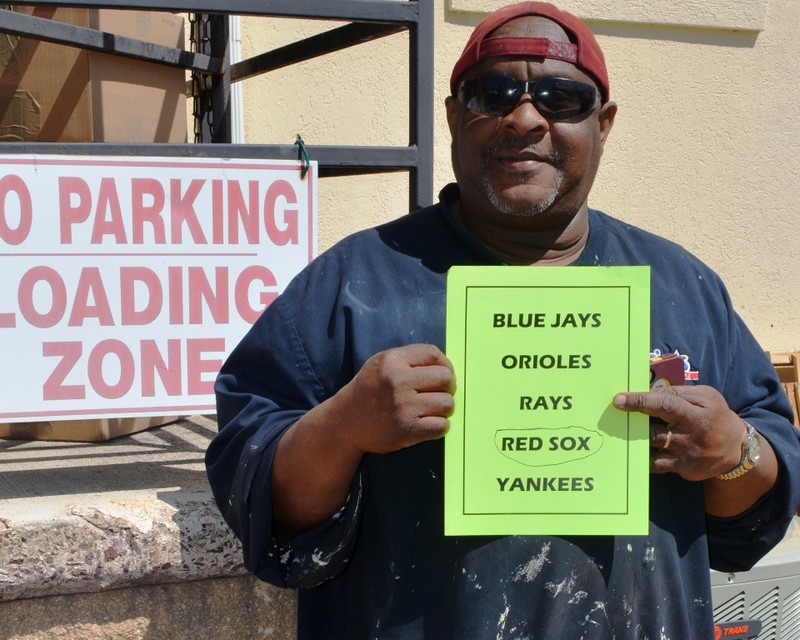 A lot of thinking goes into choosing a World Series team to root for. Not by me, of course, but by other people. You could spend hours poring over ERAs, WARs, FIPs, and Batting Averages. You could study baseball stats and figures for the next seven hours and come out convinced that the Washington Nationals will beat the Red Sox in six. Yup, and where does that put you? Back at square one. Let’s look at more important things. When choosing between the Cubs and Indians, here are some facts that may help you choose the best team for your needs. First, let’s look at 1908, the last year the Cubs won the World Series, and 1948, the last year the Indians won. I’m on to you, Sports Illustrated. You’re picking the Houston Astros over the Chicago Cubs in the World Series just to be quirky. You’re going with hipster picks – just a little off the beaten path, but still kinda making sense. Good for you. You went quirky last season, too, picking the Cleveland Indians when everyone else was certain it was the Washington Nationals’ year. You didn’t pick the Royals. No one did. You all make a living knowing baseball and you still get it wrong. That’s why, once again, I turn to my own panel of experts – those who admit they have no real knowledge of baseball – to help me pick the 2016 World Series champion. Sure, go with the ‘Stros if you must. Or, come with my experts. Clinton is a handyman who does lots of fix-it jobs around the building where I have my massage studio in Madison, Virginia. Last year he replaced all the aging and water-stained ceiling tiles in my studio, which may seem like a small thing to you, except when you realize that the average massage client spends a fair amount of their time looking up at the ceiling. I’m pretty sure the entire building would fall apart without him. Clinton was, as always, busy working when I stopped him to help me choose an AL East winner. He’s not a baseball fan, he’s all football and roots for that team from Washington. I met Parker at the local grocery store where he was feeding the goats. Parker is in first grade and plays first base and pitches for his local Little League team. When I asked him the name of his team he said he couldn’t remember, but I think he was just afraid I would show up at his game on Saturday if he told me. 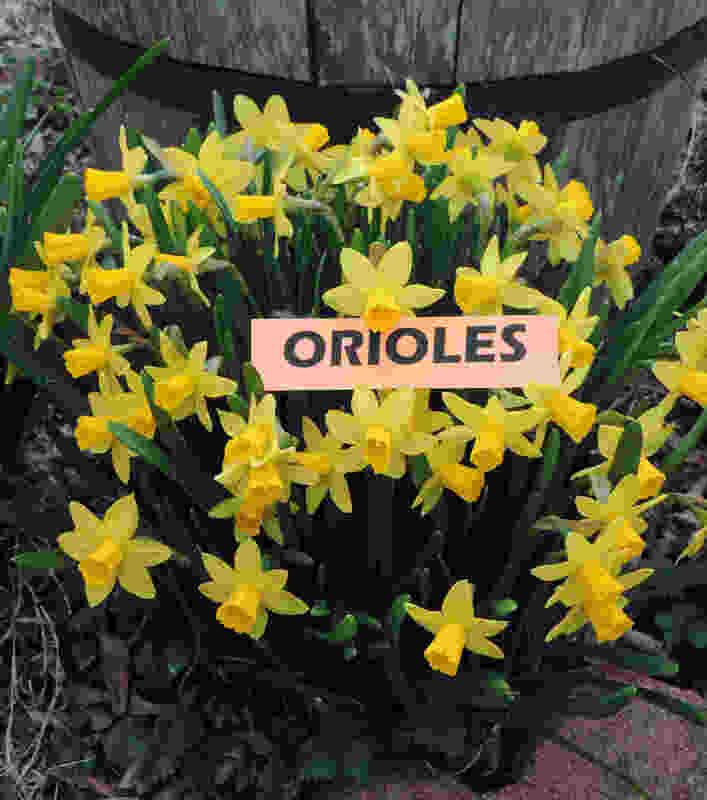 “They’re picking us last again which is beautiful.” ~ Baltimore Orioles Manager Buck Showalter in January. 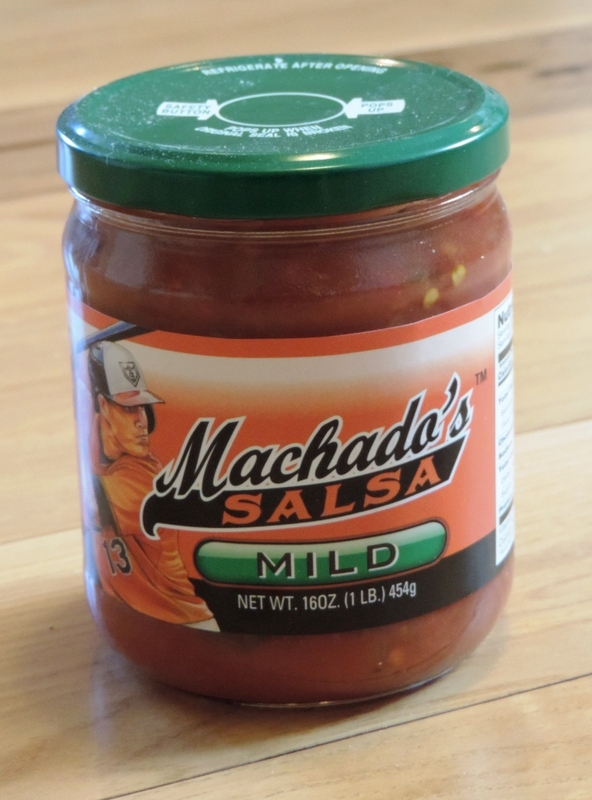 Congratulations, Seattle Mariners. Congratulations, Washington Nationals. You’re going to the World Series! Thank you for an exciting 2015 season! Man, it flew by. Yes, I mean you – all you smarty-pants with your fancy stats and box scores and hours of analysis and number crunching. What the FIP is a wOBA? Yet, despite all that hard work, the experts are almost always wrong. Admit it. Giants over Royals in last year’s Series? You had no idea. NO idea. Instead, I looked for a few folks around town who don’t care a bit about baseball. For them WAR is good for absolutely nothing and ERA is a laundry detergent. They’ve got better things to do this summer than watch a team play 162 crummy games of baseball. They picked the 2015 division winners. Andrew doesn’t follow baseball and will spend his season working and his spare hours hiking through Virginia’s beautiful Blue Ridge Mountains. 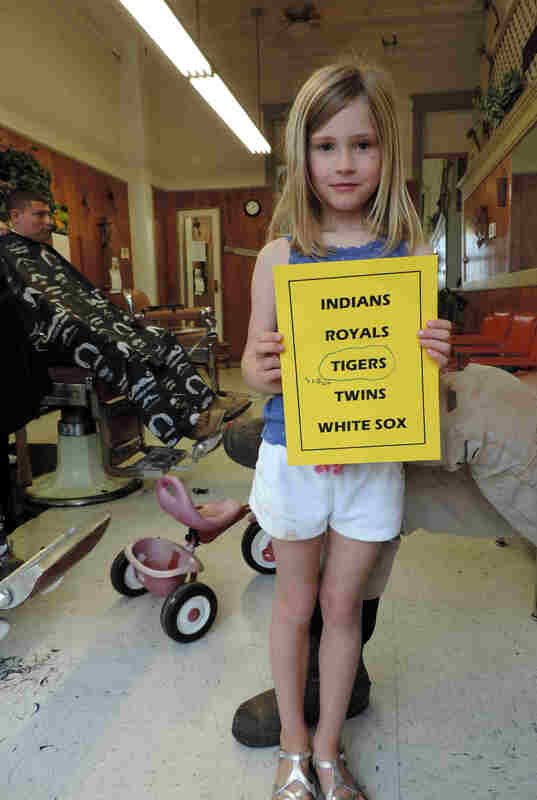 Scout, a first grader, was hanging out with her family at the barber shop on Main Street. Scout will watch her brother play baseball, but that’s about it. She prefers picking flowers, playing with her puppy, and riding horses. Why the Tigers? Because I asked her to circle one of the teams and she circled Tigers. Good enough for me. Gloria was born in Chicago. North side, so Cubs all the way. Her dad took her to Wrigley a few times when she was young. 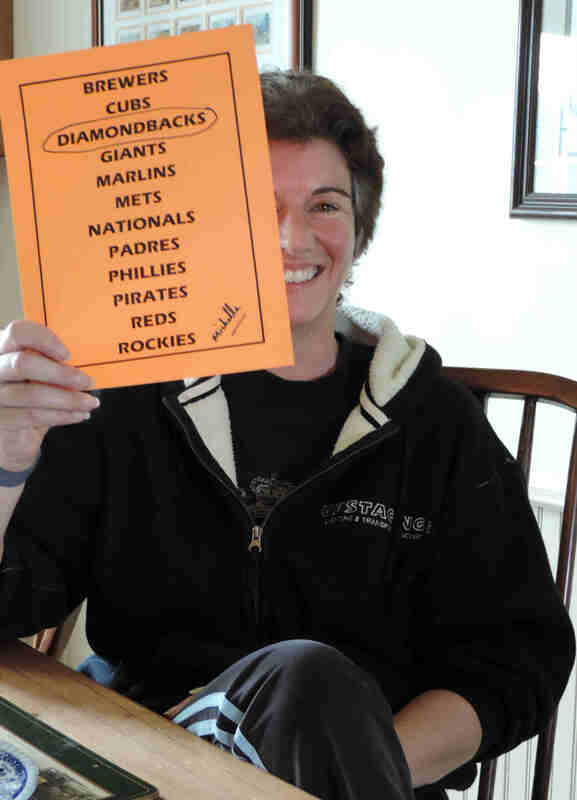 It was a long time ago, but she still remembers sitting in the right field bleachers. She also reads my blog. “I liked it at first for the pictures of the cats, but I like it for the baseball history now.” See, what a nice person Gloria is? Why the A’s? 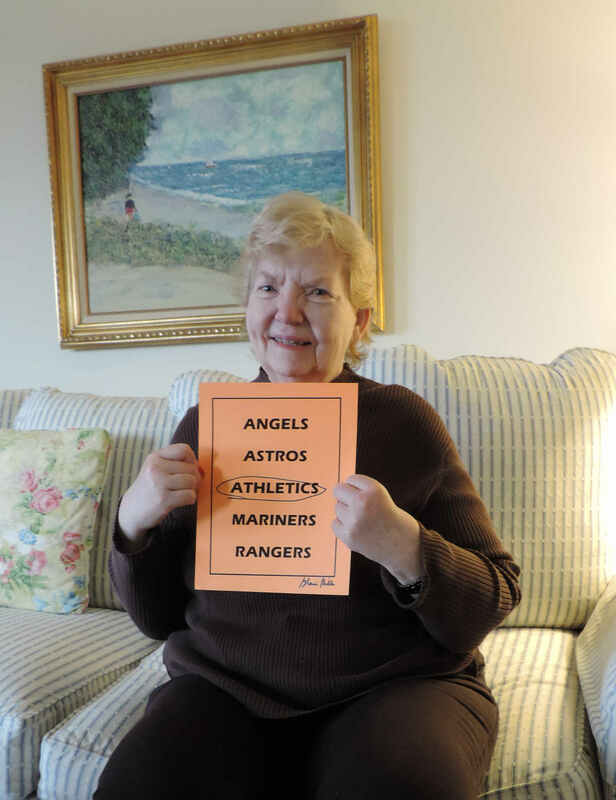 “They were on the middle of the page.” Gloria also noted that, logically, athletes should be better ballplayers than angels, astronauts, mariners, or rangers. 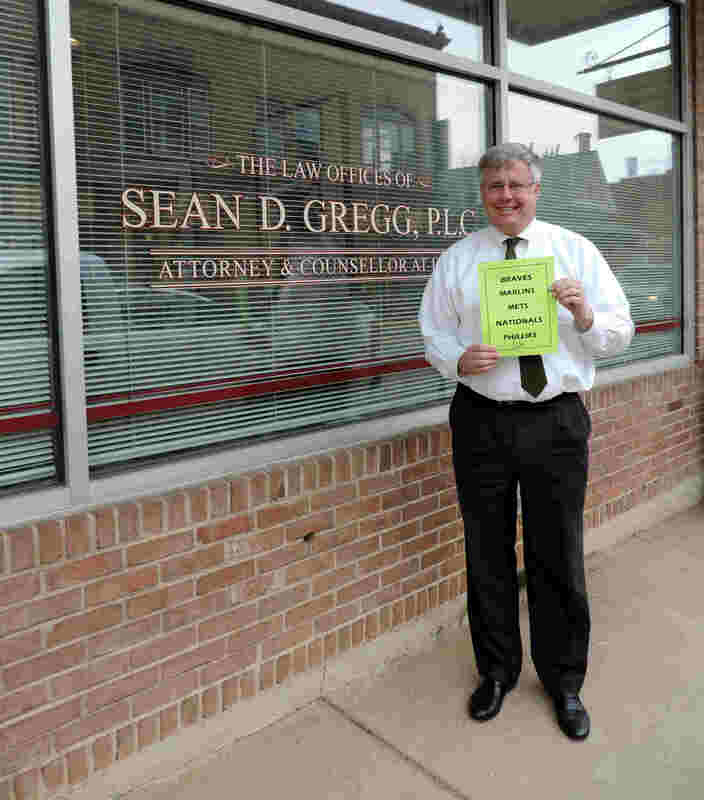 Sean’s cousin is Tommy Gregg, who played about 10 years in the majors, including six in Atlanta. 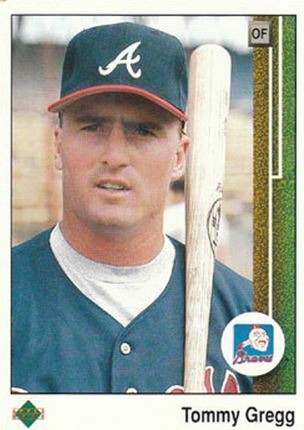 In Game 2 of the 1991 Series versus the Twins, Gregg pinch-hit for Mark Lemke with two out in the bottom of the ninth, the tying run on first. He struck out looking. 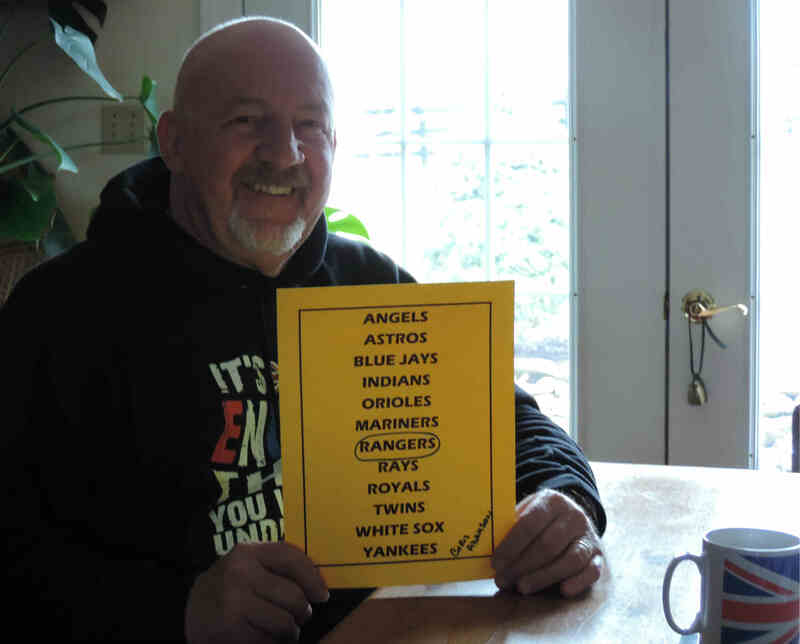 The Twins went on to win the Series, though you can’t blame Gregg’s one strikeout for that. Gregg had a steady career, much better than that one strike out would have you believe, and he’s currently the hitting coach of the Omaha Storm Chasers, the Triple A affiliate of the Kansas City Royals. 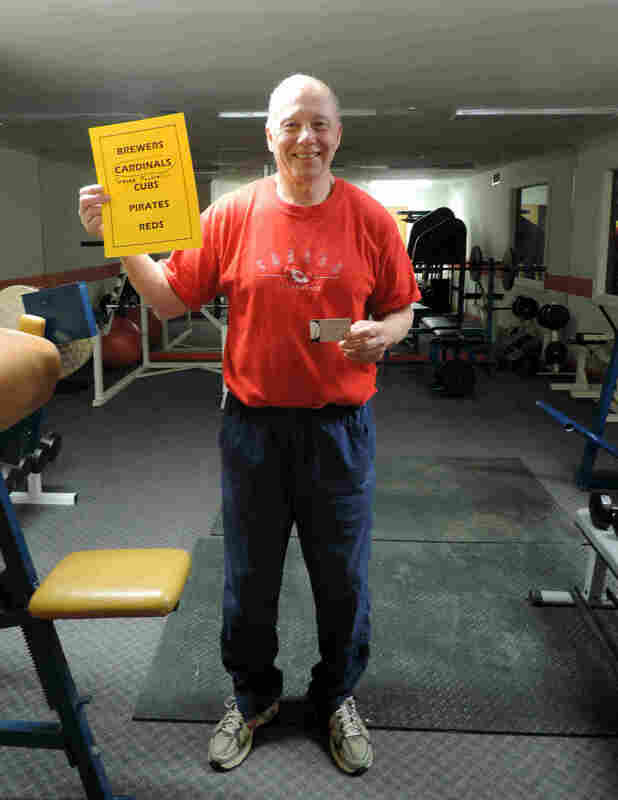 I found George working out at the local Racquetball Club in Orange. George isn’t much of a baseball fan. Football’s his game. He was a defensive end at Virginia Tech and went on to coach at Tech, William and Mary, and 23 seasons at the University of Maryland. While he claims to not follow much baseball, he was awfully quick to remind me that Tech’s baseball team swept the University of Virginia last month. Why the Cardinals? No reason. 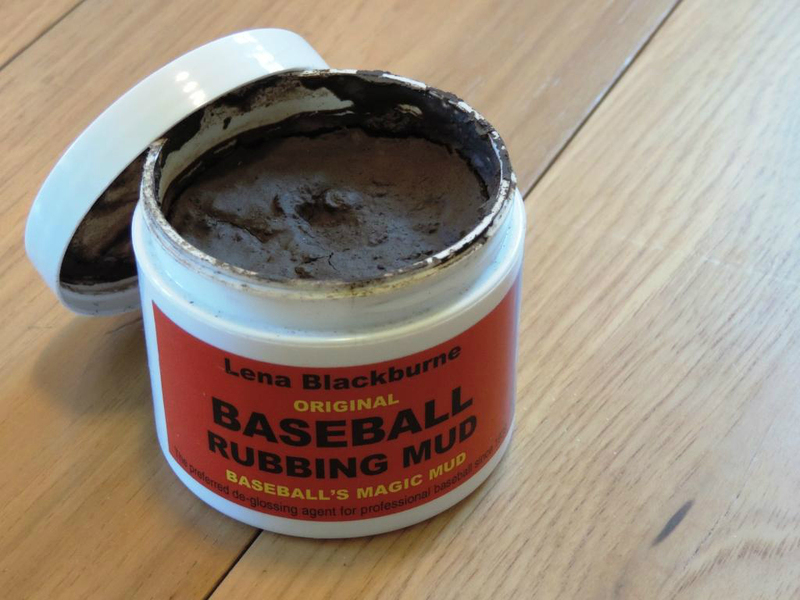 Yes, I paid money for a jar of mud. So? Tim was a pitcher in high school. 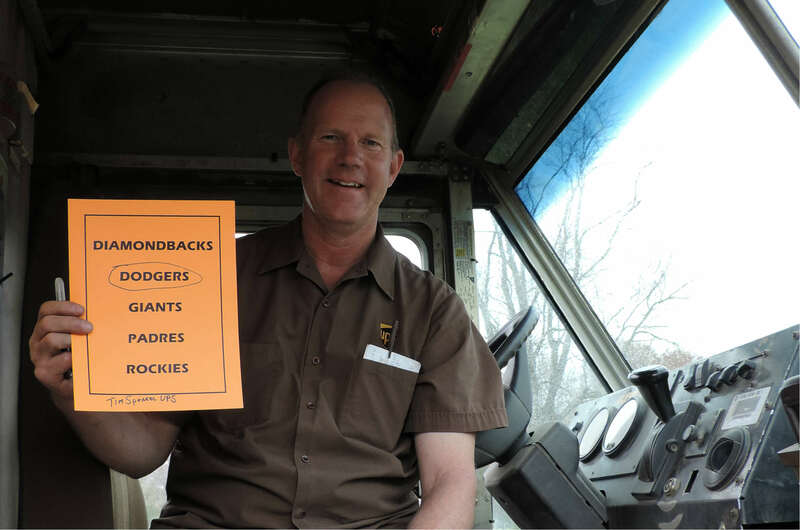 He might watch a game or two during the season, but won’t really get interested until playoff time, when he and the 90 other UPS drivers he works with, including those who know nothing about baseball, will “start talking crap” about games. Why the Dodgers? During the Lasorda Era, Tim would occasionally catch late night West Coast Dodgers games on TV. With the divisions set, I took the remaining teams to my Wild Card experts, my two English friends, Chris and Michelle. They became citizens last summer and are still getting the hang of this America thing. They still stick unnecessary u’s in words, insist that English chocolate is superior, and won’t admit that the U.S. bailed Britain out of two world wars. Just the non-expert experts I was looking for. Note the Union Jack teacup. Michelle is a competitive equestrian, but is currently recuperating from an injury. She would like to point out she was a bit woozy while making her pick. 1) It’s a cross between rounders and cricket. 2) Players chew tobacco and spit. With the post-season set, we mixed the teams up in special American League and National League caps. Editor/Husband picked the pennant winners. There’s your 2015 World Series. She circled around the two teams a few times (perhaps signaling a five-game series? 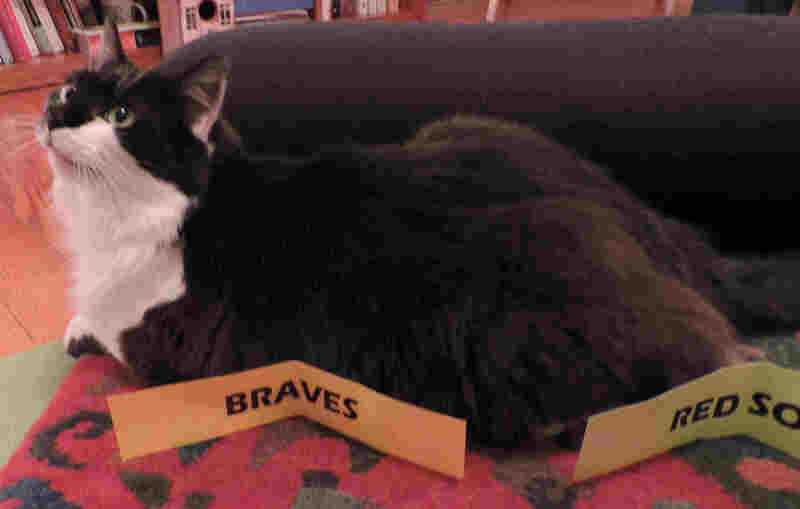 Or, maybe just looking for that can of sardines) before settling down next to the Braves and, in the process, knocking the Red Sox over with her generous backside. And, that is why the Atlanta Braves will win the World Series. Still, it’s a little disappointing. Although I’m pleased that the Braves’ Nick Markakis, beloved former Oriole, will finally win a World Series ring, what fun is it now that the season is over before it has even begun? Baseball is a beautiful, most perfect game. On Opening Day, every team is tied for first … at least for a few hours. Who can know who will win a World Series that is seven months and more than 162 games away? I’ve had a few Yoga students leave me for Zumba, the Salsa-Aerobic workout. I admit it. It hurt my feelings. What’s wrong with me? What’s wrong with Yoga? Why go? Stay. Stay. I think that Yoga vs. Zumba is similar to my feelings about Baseball vs. Football. Yoga is … Serene … Mindful … Toned … Disciplined … Careful … Graceful … Strong. Yoga is bathed in a long, rich, and often-quirky history. Zumba is a nice work-out to some sassy music, but that’s it as far as I can tell. Baseball … Football … same thing. I see baseball as this graceful game of strategy, and mindfulness, and strength, and focus. A game that treasures its own long, rich, and often-quirky history. As a massage therapist, I can tell you that I’ve had to work my way through a good number of Zumba injuries in my clients over the years. Yoga, a few, yes, not many. Likewise, I’ve got a few clients who still suffer from aches and pains from long-ago (sometimes decades-old) football collisions. Again, baseball? Ok, a few. 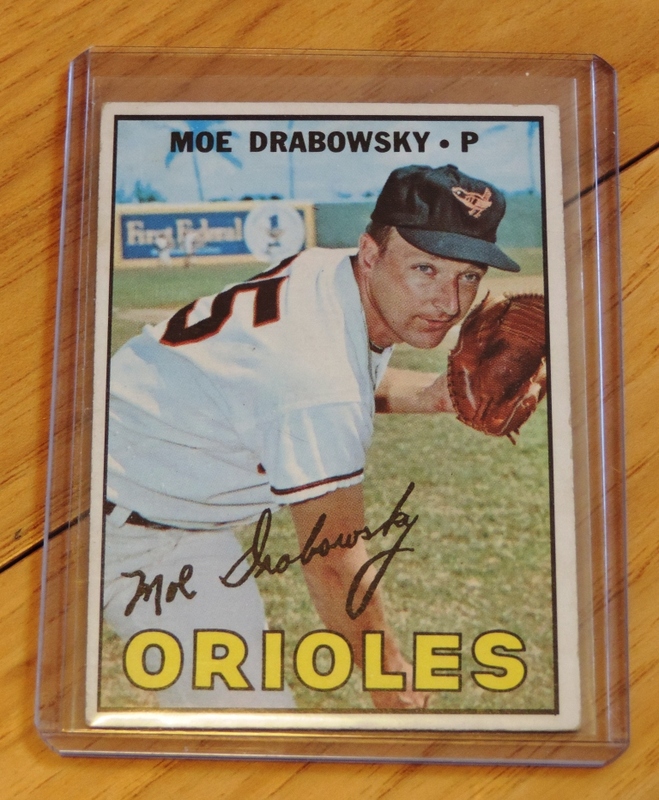 In an earlier post, I explained why I boycotted baseball (and even my beloved Orioles) for several seasons … disillusioned by the widespread use of PEDs (performance-enhancing drugs). I’m back now, although I know that, sadly, the drugs are still there. Now, I am boycotting football and have been for the past couple seasons. (Sorry, beloved 49ers.) The distressing violence of the game, the ignorance over the long-term damage of head-to-head collisions and concussions, finally made it unbearable to watch. But, I know I’m the minority. 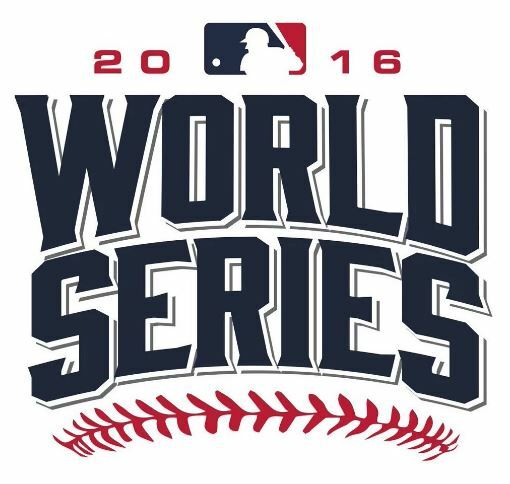 The World Series hit a televised record low this year. Really? You all missed Sergio Romo … Barry Zito … Pablo Sandoval! It was good (unless you’re a Detroit fan, then, not so much). And, you missed the free Taco Bell tacos for America … awarded when the Giants’ Angel Pagan stole a base. (I also missed it, because there’s no Taco Bell nearby). Here it is. He’s much more eloquent than me. Hope you listen! What’s wrong with Baseball? Why go? Stay. Stay. Just 111 days until pitchers & catchers report.